2. 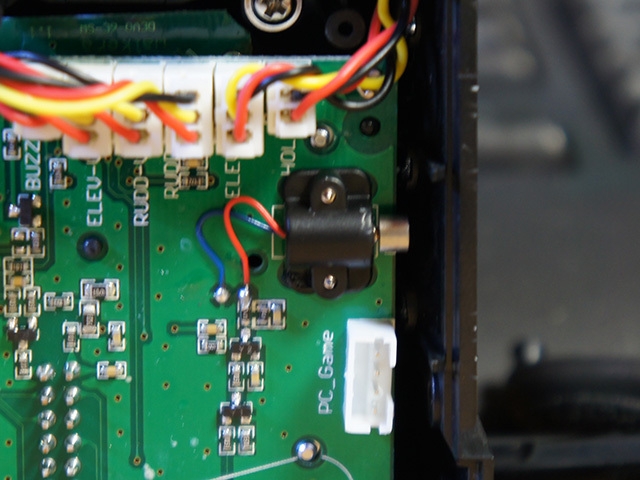 Flip the PCB over and we can see the buttons and the wire connectors. 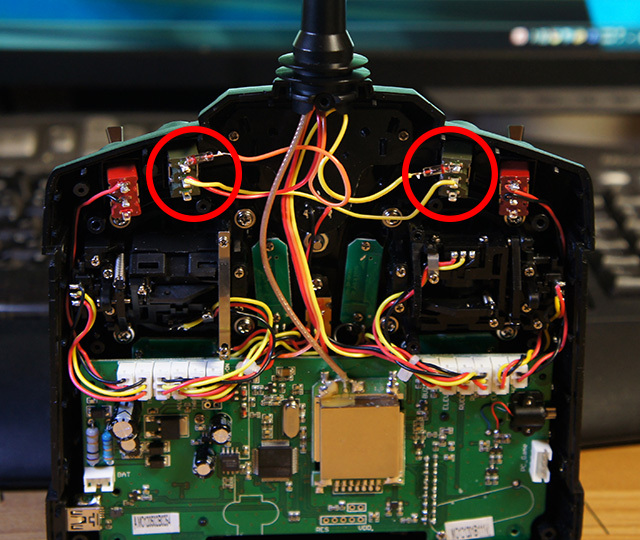 Carefully identify the spots as shown in the photo and solder three wires perferably of different colors say Red, Yellow and Orange. 4. 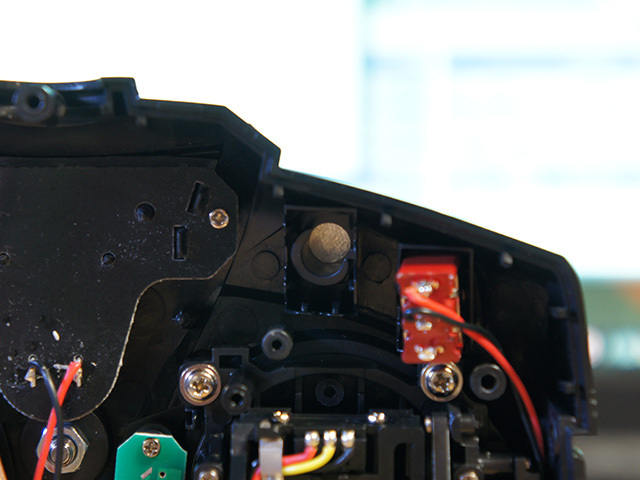 On the Tx front cover, drill out two holes to the size of the switches you are going to use and put the switches on. 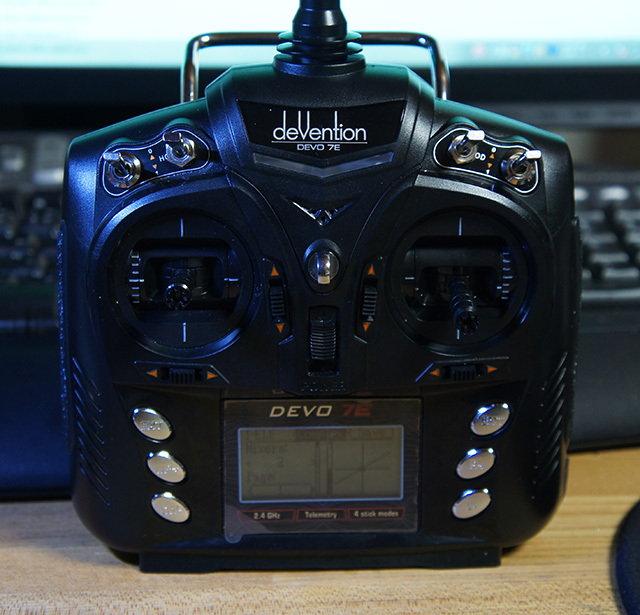 Left is "Elevator D/R" and right is "Aileron D/R). 5. Connect the other end of the Red wires (you have to make a parallel connection) to the middle (toung) of both switches. 6. 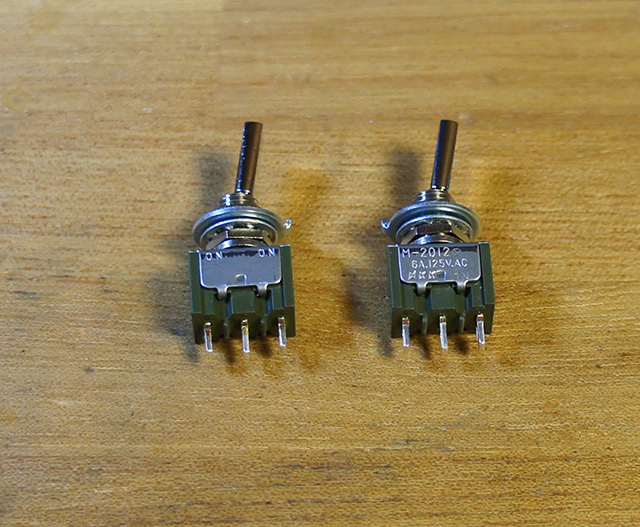 Solder a diode to the top contact of both switches. Pay attention to the direction of the diodes. Different doide types have different appearance. The one I am using is a low voltage rectifier 1N4001 but whatever diode type should also works. The point is to make sure current is flowing from the Yelow/Orange to the Red wire.